To mark the launch of the Leica Summicron-S 100 mm f/2 ASPH., currently the fastest portrait telephoto lens in the medium-format segment, Leica Camera AG is offering the first 100 of these lenses together with a Leica S medium-format system camera in an exclusive set. The camera and lens in this limited edition of only 100 sets, the Leica S Summicron 100 Edition, are specially engraved and feature serial numbers. 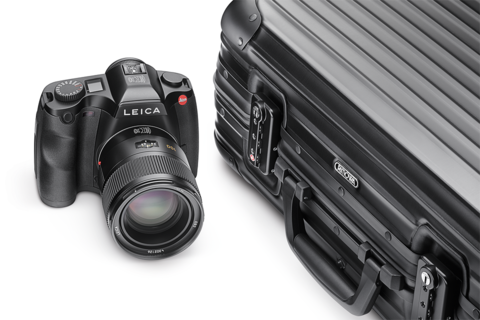 The Leica S in the set also has further distinguishing features. The controls and strap lugs are finished in black chrome and lend the camera its particularly exclusive look. The Leica S Summicron 100 Edition is supplied complete with a specially designed Rimowa Topas Stealth cabin trolley in matt black with high-quality inner compartments. The Leica S Summicron 100 Edition will be available from August 2014. The individual components are only available as a set and cannot be purchased separately. The standard model of the Leica Summicron-S 100 mm f/2 ASPH. will be available from authorised Leica dealers from September 2014.